Adam lives in Blackwater where jobs, food, and everything else are scarce and life is hard. He lives with his disabled brother and harbors a secret crush on Sadie Blood, the girl who runs the bike repair shop. Every year there is a brutal bike race and the winner gets to go to Sky-Base, the amazing city where there is plenty of everything including food and opportunities. Adam would love to abandon this hard life for the easy one in Sky-Base, but he always worries about leaving his brother and Sadie behind. Also, there is a group of thugs who enjoy terrorizing everyone around Blackwater and Adam isn’t sure he has what it takes to beat them. Then, tragedy strikes and Adam knows that his only shot is to race and win. Does he have what it takes? This book is action packed and full of suspense as Adam navigates this dangerous track and competition. Fans of The Maze Runner series will really enjoy this title as it has similar exciting plot twists and dangerous actions. It’s easy to get engaged with the characters as they fight for their lives on an hourly basis in this tough town. The ending will leave readers wanting more. Recommended for reluctant readers. Park is a half Asian student who lives in a tough neighborhood of thugs and bullies, but has always managed to stay under the radar. Eleanor is a new student who has bright red curly hair and is a bit overweight. She immediately becomes a target for the bullies at school and Park takes pity on her and allows her to share his seat on the bus. They do not talk at first, but eventually they start sharing music and comics. Eleanor never talks about home, however, and as their friendship begins to shift toward a more romantic relationship Park begins to understand why she never discusses her family. Can Park protect her from the bullies in her life? Does he have the courage to do so? This powerful modern day romance will connect with John Green fans who enjoy unique and truly memorable characters. 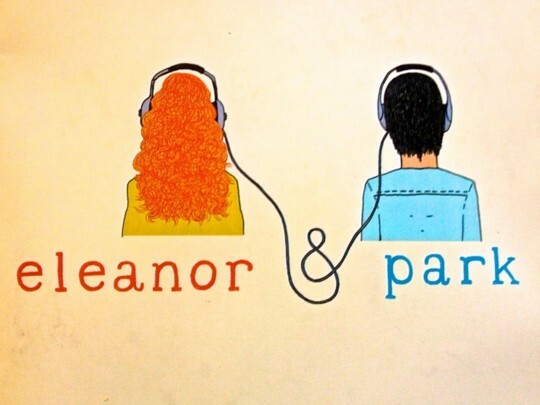 There are many interesting descriptions used and information about both Eleanor and Park is revealed through surprising and yet realistic means so that the reader truly learns certain pieces of information at the exact moment that it occurs to the character. Highly recommended. Tod is a bully who has been caught sneaking into school property after hours. His punishment is to go to his counselor’s office each night after school for detention to write in his journal. At first he hates this, but eventually he comes to find it cathartic. His counselor begins to see a whole new side of Tod and finds some answers as to why he acts the way he does at school. He is very honest and smart in his journal and the readers learn a lot about his home and school life. Can Tod find a way to change his ways and survive school without resorting to bullying? The idea of bullying is a tough issue in any school. 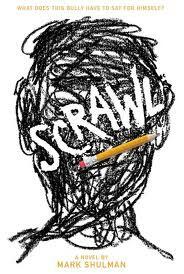 This book does not in any way condone bullying, but does offer the suggestion that there may be some underlying causes that vary from student to student. Tod probably opens up a little easier than most students would, but it is still interesting to see how his perspective on the journal changes with each entry. This could be a great class read because it would open up a great discussion of treatment in school by all students as well as the many forms of bullying available, which now definitely includes technological bullying. Recommended for boys and reluctant readers. Creed Griffon goes to a private school where students occasionally go missing. After a girl who tends to bully Creed she goes missing, he is immediately a suspect due to the altercation they were overheard having prior to her disappearance. Meanwhile, Creed keeps having disturbing dreams that slowly start bleeding into his real life. He comes to find out he is much more involved with the paranormal activities at his school than he could have ever realized and it might be up to him to save the missing students. The more he learns, however, the more danger he finds himself in. Can he find out what he needs to in order to survive? Can he clear his name even as evidence mounts against him in the disappearance of the girl at school? Fantasy fans will love this book, especially ones who like Harry Potter or Percy Jackson. The story moves quickly and engages young readers from the beginning. A few of the plot details seem a bit murky at first, but clarify as Creed begins to learn more about his school and his personal situation. The characterizations develop as the story goes on and readers begin to care what happens to them. All in all, a nice fantasy read that should have no problem finding an audience. John came here when his planet was destroyed. Eight others came with him and were separated to keep them safe. There was a spell placed on them so that they must die in a particular order, but John knows that the three before him have been found and killed. Therefore, he must move with his guardian to a new place, with a new identity, and extra precautions. He is the next one to be targeted by those who wish to destroy his people. At his new school he meets Sarah who seems different than other girls he has ever met. Can he risk getting too close to her when his life is in jeopardy and his future on this planet is uncertain? Can he act like a normal teenager when so much is at stake? 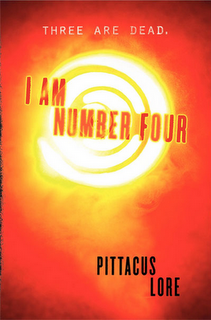 This fast paced novel keeps the reader interested from the first page. There are some lighter parts as well as more action packed sections that balance the story and make it seem plausible in some way. The characters are engaging and their actions are believable. Fans of fantasy will enjoy the threat from other worlds, but realistic readers will enjoy the action and suspense. Overall, a fun read. # of Pages: 405 p.
In this gripping novel, Valerie is shocked when her boyfriend, Nick, brings a gun to school and begins shooting students. She tries to stop him, but ends up getting shot in the leg before he turns the gun on himself. 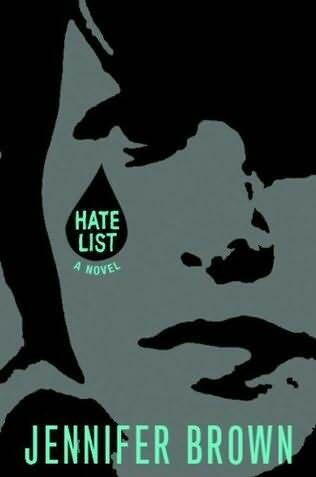 In the aftermath, a notebook is found at Nick’s house of a list of people the two of them kept whom they hated. People were put on this list for a variety of reasons, but mainly because they bullied Nick or Valerie or encouraged it in some way. As Valerie courageously returns to the school for her senior year, she must face the repercussions of Nick’s actions as some people blame her and believe she should be in jail. Others seem to think she is a hero for trying to stop the shooting and want Valerie to move on, but can she forgive herself for not seeing this coming? This story forces every reader to think hard about his or her actions. Everyone knows what it feels like to be picked on in some way and can identify with Nick and Valerie, but at the same time must decide how bullying should be punished. Also, this book asks us all to think about how bullying can be stopped in schools or if that is even possible. Valerie’s psychiatrist asks her to look at things for what is there and not what appears to be there. This is something we should all be a little better at, but unfortunately it is often difficult to see the reasons behind certain behaviors. Highly recommended. Austin is a fourteen-year-old girl who lives in Texas with her mom. Her father died six years earlier in an accident on Christmas Eve, which has left her mother a little traumatized and overprotective. There is a family of bullies who think they can do anything in the town because they have money. One in particular likes to criticize Austin at every chance he gets. As Austin deals with the bullying, she decides that she wants to be the sweetheart of prosper county so that she can ride in the parade and no one could ever make fun of her again. 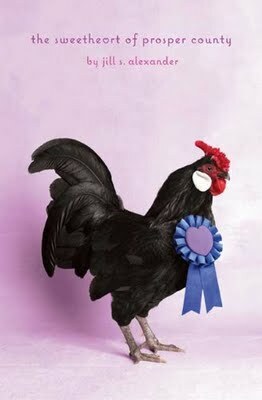 In order to do this she must raise a chicken to enter in the county fair. It’s a very long process to raise a chicken and get him ready for the county fair, but Austin believes if she does this it will be the first step toward becoming somebody in this town. Will she ever feel the courage to stand up for herself? This heartwarming story follows a girl who has many things to deal with including a mother who has withdrawn from her life, and a terrible bully who thinks he can do anything because his father owns the corrupt mayor. As she grows up and matures, she begins to see that she is the only one who can really change things for herself. The characters are well-developed and fun to read about and the plot is so interesting and fast paced that anyone will want to know more about county fairs and raising animals.